The R/V Savannah represents a state-of-the-art improvement in seagoing opportunities for Skidaway and for the southeastern United States. Acquisition of the R/V Savannah began with the search for funds in 1996, and culminated with the arrival of our new ship in September 2001. 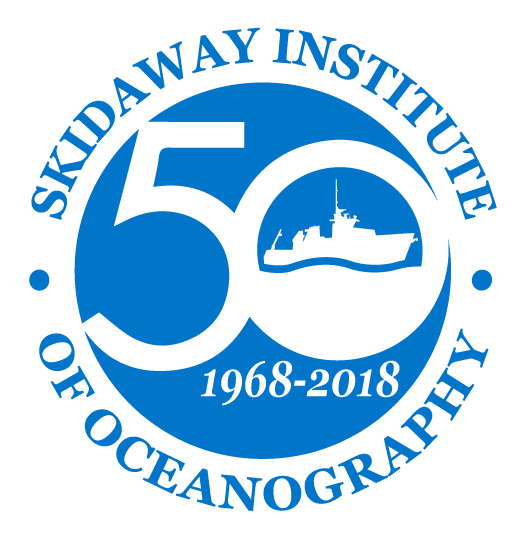 The R/V Savannah is operated by the Skidaway Institute of Oceanography and is a member of the University National Oceanographic Laboratory System (UNOLS) fleet. The R/V Savannah is ideal for biological, chemical, physical, and geological oceanographic studies in estuarine and continental shelf waters throughout the southeastern US Atlantic and Gulf Coasts. Length – 92 ft. (overall) Beam – 27 ft. Max Draft – 8 ft.
A-frame: 12′ reach off stern, Vertical clearance 14′, horizontal clearance 13′, MPT 9,000 lbs. J-frame: 9′ reach off starboard side, vertical clearance 12′, horizontal clearance 5′, MPT 2,000 lbs. Research Work Areas: Fantail work area – 606 sq. ft., Wet laboratory – 158 sq. ft., Dry laboratory – 308 sq. ft.